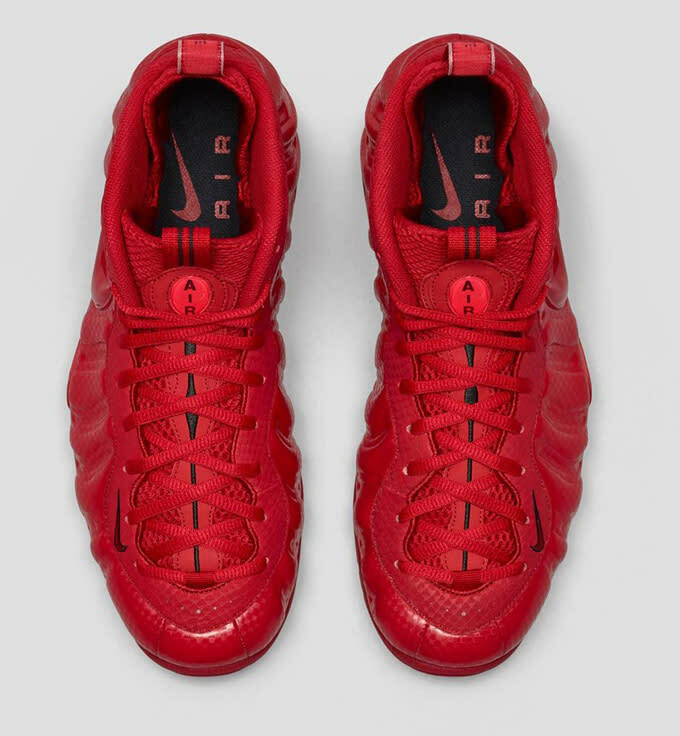 Back in January we reported that a “Red October” Nike Foamposite Pro should be expected this month, and Nike has just released release details. 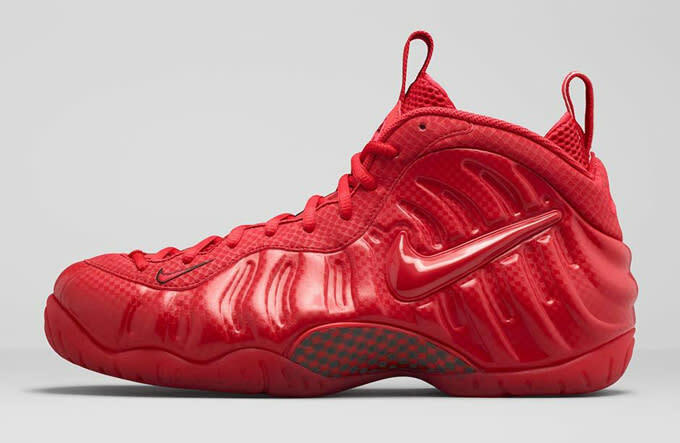 The “Gym Red” sneakers feature an entirely red upper. The foamposite and lacing system have a checkerboard pattern, adding some textural interest to the shoe, while the carbon fiber shanks and tongue get hits of black. The aglets (not pictured) are gold. Check for these to drop this coming Saturday, April 11 for $230. They’ll be on Nike.com at 10am.